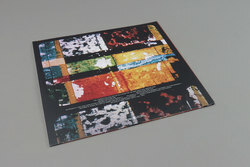 Kaitlyn Aurelia Smith - Abstractions. Vinyl EP. Bleep. 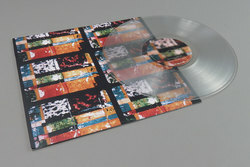 Kaitlyn Aurelia Smith joins Alessandro Cortini and Robert Aiki Aubrey Lowe amongst the ranks of artists indulging in their wildest synth fantasies on this newly recorded track, pressed onto clear vinyl and cut double-sided as an extended session 12" LP for the fittingly titled Make Noise Records. Abstractions is a live score for the film of the same name by visual artist Harry Everett Smith, composed as a single, continuous piece. Make Noise have cut it in two halves so it can be absorbed on the format that Kaitlyn's music is most perfectly suited to. 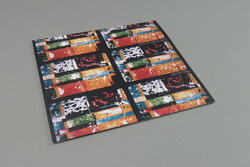 Having previously recorded with Suanne Ciani and Four Tet and released records on RVNG Intl. and most recently one of our Top 10 Albums of 2017 "The Kid" on Western Vinyl, Abstractions presents a unique experimental release within Kaitlyn’s stellar catalogue of contemporary electronic music.